Q: What is This Space? A: This Space is a business project at 243 Union Street in Vancouver’s Chinatown/Strathcona area that is asking the public to vote on what kind of business they want in their neighbourhood. Q: What will we be voting on? A: Throughout a series of polls, the public is voting on business start-up decisions such as what type of business, what products, and what kind of design. Follow us over the next few months and help shape a small independent business for this vibrant community. Q: Can it be any business we want in This Space? A: We want to start a business that offers something people value, while making a respectable profit so we can be a financially sustainable part of the neighbourhood. Zoning laws are relatively flexible in Chinatown. But This Space is only 600 square feet in size. So deciding what to do requires some creative thinking. Some types of business will be riskier or require higher investment than others. But to answer a question with a question, what do YOU think we can do with this small space? Q: When will the business open? A: We are targeting February 2012 to be open for business. But timing will depend on the type of business you help select, and the required business planning, renovations, permits, and staffing. Q: Do you have to live in Strathcona or Chinatown to vote? A: No, anyone can vote and if you spend time during work, home or play in Vancouver Chinatown, or just pass through regularly, we want your opinion. If you live abroad and are interested in this project, then send us a note at hello@thisspace.ca so we can chat further. Q: How long will the voting take? A: Each poll will be open for a set time period, with a minimum threshold of required votes. We want to be comfortable that we’ve heard enough opinions from the neighbourhood. So follow us and express your opinions now! Q: Can I be a business partner or employee? A: We are always happy to discuss partnership and job opportunities with people who are interested. If you think you can run a business in Vancouver Chinatown that the community wants, tell us about it at hello@thisspace.ca. If you’re interested in job opportunities here, keep an eye on our updates. Q: What’s happening on Union Street these days? A: Have you been to Union Street lately? Our block is already full of vibrant businesses including restaurants and retail, and a mix of market and low-income housing. With old alongside the new, this Union Street block is an eclectic community and an up-and-coming destination for all of Vancouver to enjoy. Q: Did Jimi Hendrix really live on this block? A: We think so? But go visit the Jimi Hendrix Shrine at 209 Union Street to decide for yourself. For over 25 years, the shed here was Vie’s Chicken and Steak House. And Jimi Hendrix’s grandmother Nora worked here as a cook. This shed now houses the Jimi Hendrix Shrine as a tourist attraction, with historical accounts of Jimi Hendrix’s life and the neighbourhood. Q: What developments are occurring in this area? A: New businesses have been opening here, including clothing boutiques, restaurants, coffee shops and bars. New condo residents in the V6A and Ginger buildings are providing local support to these businesses. The area is also fast attracting people from all over the Lower Mainland as a shopping, dining, recreational and cultural destination. Q: How is This Space a local project? A: This Space wants to be a business that is a valued part of the neighbourhood. This business will (1) involve the local community in the start-up process, (2) employ people and resources from the area as much as possible, and (3) support local causes with a portion of its earnings. Q: What local causes will be supported by a portion of the business’s earnings? A: Aside from offering a valuable business service to the area, we look to support the neighbourhood by donating a portion of our earnings to local causes. These causes could be restoring a nearby park, donating to a local shelter, or supporting a community garden. How will we decide which causes to support? With your suggestions and votes, of course. Q: What’s up with the Ping Pong table? A: You may see a Ping Pong table at This Space. We love Ping Pong. While you’re thinking about what business should go in This Space, we’ll be playing Ping Pong there. If you see us playing, come in and say hello. Challenge us to a game. And let’s chat about the changes you want to see in this neighbourhood. Q: Who is this dog? 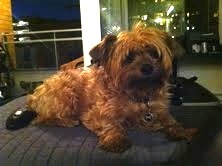 A: Meet Luca, a Yorkie-Cairn terrier. If you frequent this block of Union Street, you’ll regularly see him walking the streets of Chinatown and Strathcona, sniffing around in the park, and riding the elevators of the V6A building. Say hello…he’d be pleased to meet you. Q: How can I ask questions? A: Post your questions on our website, Facebook or Twitter pages to get answers from us and from others. Or email us at hello@thisspace.ca to chat. We want to hear from you.